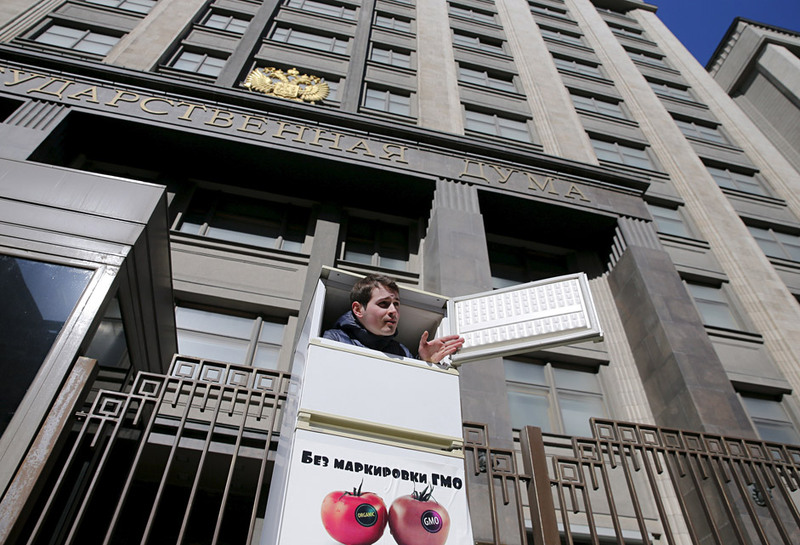 A man looks out from a refrigerator while holding a one-person picket outside the State Duma, the lower house of parliament, in central Moscow, March 27, 2015. The man protested against the import of foreign food products containing GMO, which discriminates Russian farmers who produce GMO-free foodstuffs, according to the participant. The words on the refrigerator read "Without GMO marking".